2016 Mazda MX-5 Icon review | What Car? 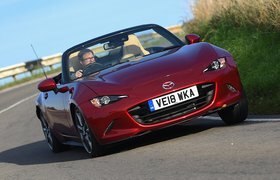 The Mazda MX-5 has already proven supremely good in all configurations - so much so that it scooped the Convertible category in our annual What Car? Car of the Year Awards at the turn of 2016. That, in turn, has led to considerable sales success - and to keep that momentum rolling, this Mazda MX-5 Icon special edition has been launched, offering extra kit and a distinctive look at an attractive price. The MX-5 Icon name is well established, with previous versions of the car having been launched in 2000, 2005 and 2007, to much acclaim by aficionados of the car. As then, this version of the Icon will be sold in strictly limited numbers - just 600 this time round - adding lustre to its appeal. 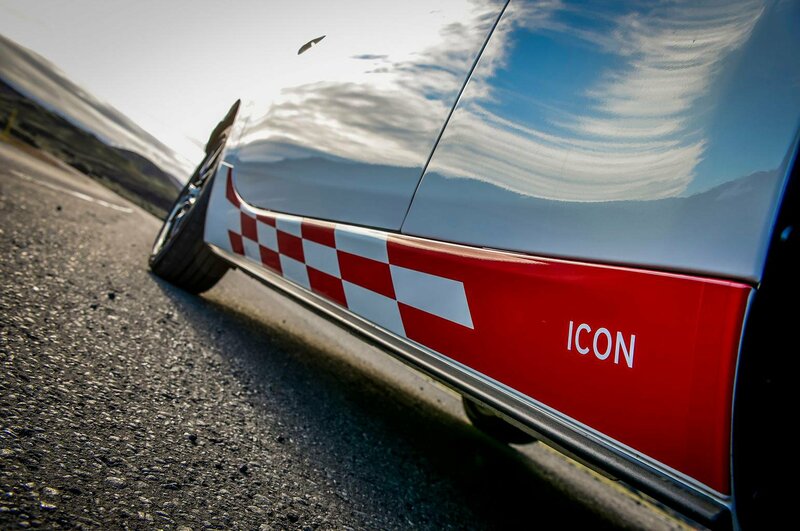 The Icon is based on the standard car’s SE-L Nav trim level, but painted in either white or grey and bedecked in contrasting paintwork on its door mirrors, rear spoiler and front skirt with some stickers down the side. Extra kit includes 16in alloys and leather seats, rear parking sensors, dusk-sensing headlights and rain-sensing wipers. 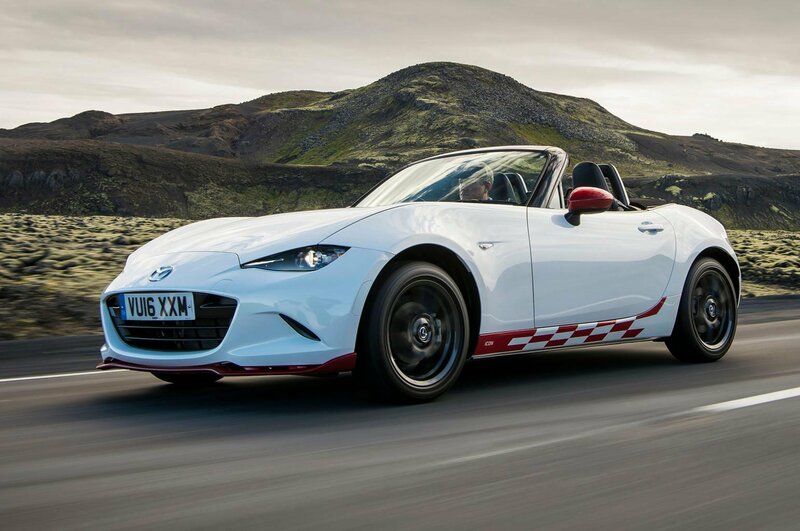 It is available with the 129bhp 1.5-litre engine only, the lower powered unit offered in the MX-5. While it’s not the engine that drives our pick of the range, the 2.0-litre, it has still proven peppy and fun to drive to date. All this is available for £20,995 - a very reasonable step up from the £20,195 for the standard MX-5 SE-L Nav given the extra kit. 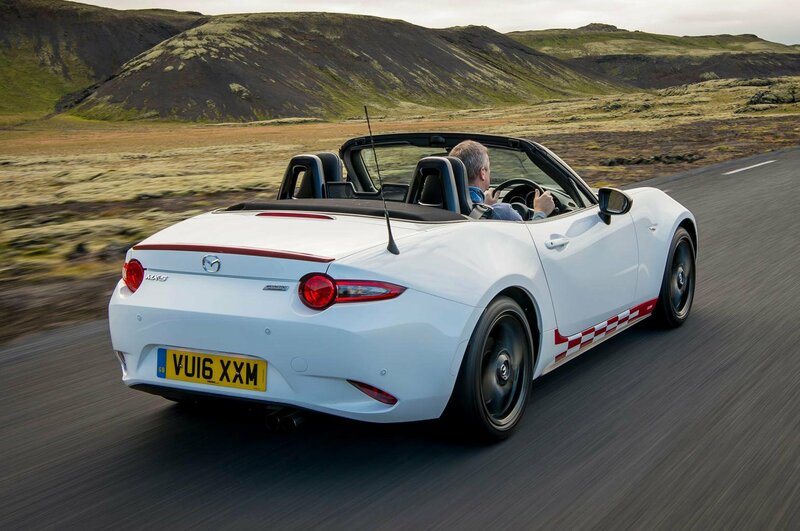 What's the 2016 Mazda MX-5 Icon like to drive? As a sports car should be, the MX-5 is a joy to drive - albeit one that you have to work hard to get the best out of in this guise. That’s because, while the 1.5 engine isn’t very powerful, it has just enough poke to make this lightweight two-seater zip along if you want to. And why wouldn’t you? There is a great deal of fun to be had from pushing the engine hard, and few if any cars are as rewarding to drive within the national speed limits. That pleasure is enhanced by the precision of all of the controls, from the accelerator to the gearshift and steering, as well as a comfortable and adjustable driving position. Combined, these attributes instill confidence in the driver. 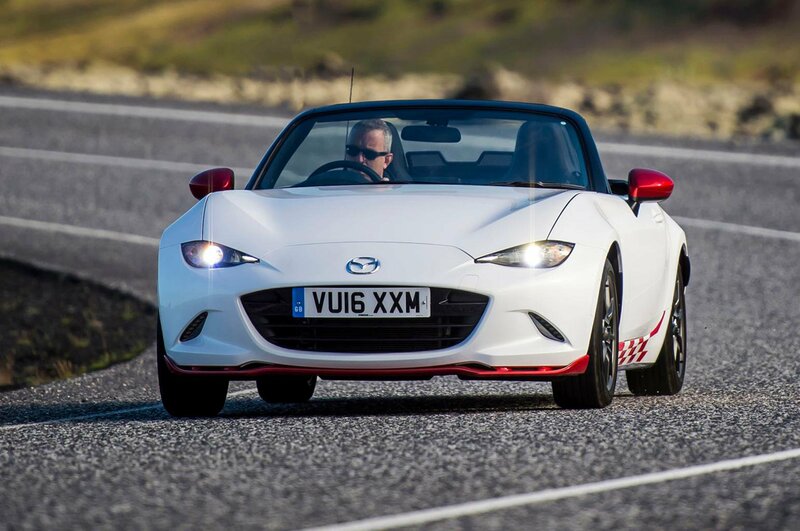 In this form the MX-5 is as unintimidating as sports cars get, yet it still manages to be thrilling to drive. That is quite an accomplishment. Don’t think that buying a sports car will break the bank, either. The MX-5 has always stood out for its relatively low running costs, and more than 12 hours of driving on often undulating, meandering roads, we achieved an indicated 44mpg. 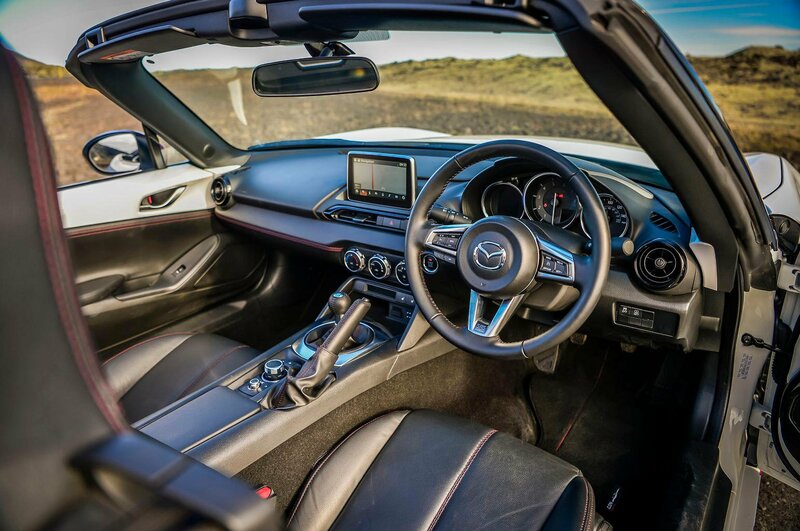 What's the 2016 Mazda MX-5 Icon like inside? Bar a special edition plaque that tells you which Icon off the line you have, it’s identical to a standard MX-5. That means the driver gets a good range of adjustment (the standard tilt adjustment is extremely useful, even if the seat height is fixed), and the gearlever and dash switches are well placed. Interior quality is good, with a nicely judged blend of materials and solid build quality throughout. The leather seats of this special edition in particular add a luxurious edge to the cabin. Complaints are few and far between, but keen drivers may find the pedals slightly offset and inevitably storage - in the cabin and boot - is at a premium. Standard kit includes climate control, a 7.0in colour touchscreen, sat-nav, Bluetooth, a digital radio, two USB inputs, LED headlights and a leather-trimmed multi-function steering wheel, which is generous given the price tag. Ultimately we’d still recommend the 2.0-litre engined version of the MX-5 as the greatest expression of this car, but there’s no question that if the looks and exclusivity of the Icon appeal then you are getting a good car at a very good price.